LONG known for its “soft power”, the European Union is finally getting serious about upping it’s “hard power” defence and security credentials. And while the plans are still relatively modest in scope and content — there’s not going to be a European army any time soon — the bloc is moving forward with more determination than many anticipated. Interestingly for those who, like this correspondent, keep a watch on such developments, the latest constellation of EU defence ministers includes five trailblazing women who could finally get long-standing plans for a European defence union off the ground. It’s a historic shift in a world long dominated by male defence chiefs. Even in Europe where women have made more inroads into political life than in many other regions, men have dominated the world of guns and tanks. But no longer. Until 2002, Finland was the only EU country to have had a female defence minister (twice). Last week’s meeting, on the other hand, was attended by Germany’s Ursula von der Leyen, France’s Sylvie Goulard, Italy’s Roberta Pinotti, Spain’s María Dolores de Cospedal, the Netherlands’ Jeanine Hennis-Plasschaert and EU’s “high representative” for foreign and security policy Federica Mogherini. The spotlight is especially strong on Goulard, a member of the European Parliament, who like the new French President Emmanuel Macron is an ardent pro-European politician. The appointment signals Macron’s determination to work towards greater European defence integration. A close ally of Macron who speaks four languages, Goulard is respected in Brussels as a straight talker, having acted as adviser to former European Commission president Romano Prodi. The new EU focus on security is not surprising. European governments which are also members of Nato are under intense pressure from the US to increase defence spending to the UN target of two per cent of GDP. Some like Germany have baulked at the US criticism but many others agree that the bloc must spend more on defence to ensure its own security and to be taken more seriously by a watching world. Dependence on the US-led Nato alliance also makes the EU a permanent junior partner in other aspects of the transatlantic relationship, according to some EU policymakers. Although he is scheduled to attend the upcoming Nato summit, US President Donald Trump’s on-off trades against Nato have added to Europe’s unease about excessive reliance on the organisation. Difficult relations with Moscow have further bolstered the EU defence drive as has the need to cooperate more effectively and efficiently on counterterrorism operations. In addition, opinion polls show European public favouring more intra-European security cooperation. Ironically, the imminent departure of Britain from the EU has also given a boost to the plans. France and Britain are the two European nations with the most military clout. But, led by France and Germany, the EU has in fact identified defence cooperation as a key area for rebooting the crisis-hit bloc after Britain’s traumatic vote to leave. “This is one of the fields where European Union integration is advancing the most,” Mogherini said after EU defence ministers met in Malta recently. “Now with crises all around, we hear from our partners, starting from the UN … that a rapid reaction force from the EU would be needed to be deployed in some crisis areas,” she said. Britain, nuclear armed and with a permanent veto at the United Nations, long opposed such efforts, fearing the creation of a “European army” commanded from Brussels. But Brexit has taken Britain out of the equation. In March, defence and foreign ministers approved Mogherini’s plans for an embryonic military headquarters to coordinate EU overseas security operations, and military training missions in countries such as Somalia and Mali. In other decisions, the EU has agreed to strengthen security cooperation with partner countries, with the aim to adopt more strategic Common and Security Defence Policy (CSDP) partnerships with a focus on partner countries that share EU values, including the respect for international law, and are able and willing to contribute to CSDP missions and operations. A renewed effort will be made to reinforce military rapid response, including EU battlegroups. And in a tacit endorsement of a multi-speed Europe, EU members are working on an inclusive “permanent structured cooperation” (PESCO), composed of EU member states which are willing and able to collaborate further in the area of security and defence. More cooperation with Nato will take place, including in counterterrorism. The agenda is undoubtedly modest by world standards. The EU defence plans certainly pale in comparison to the military swagger of the US, China and Russia. But it would be a mistake to discount European ambitions. And if it can mix and match its soft and hard power by combining aid, trade, diplomacy with some military muscle, the EU could become a smart power which is valued at home and abroad. —The writer is Dawn’s correspondent in Brussels. Domestic quarrels and a distaste for global engagement may be the hallmarks of Donald Trump’s erratic presidency of the United States, but the world is moving on. On 14 May Emmanuel Macron was inaugurated as French President, raising hopes of a re-energised European Union. On the same day in Beijing Chinese President Xi Jinping showcased his ‘Belt and Road Initiative’ (BRI), an ambitious vision of a refashioned, interdependent and closely connected world. The three markedly distinct conversations in Washington, Paris and Beijing reflect different domestic imperatives. They also provide compelling insights into a rapidly transforming global order. Trump’s presidency hurtles from crisis to crisis, many nations are questioning America’s role as indispensable global power. In France (and Europe) the talk is of reform and renewal as a young president takes power – and of the hard work still required to modernise, adapt and adjust while keeping the twin evils of populism and nationalism at bay. But while the West takes time out, the rest of the world is in transition. The trillion-dollar BRI, Beijing’s ‘project of the century’, was spotlighted last weekend at a mega-conference attended by 28 world leaders, more than one hundred representatives of states, and an equal number of business representatives, academics and journalists. It was quite a party – and rightly so. Not since America’s Marshall Plan pumped millions of dollars to revive war-devastated Europe has a country undertaken an endeavour of such spectacular scope, vision and financial magnitude. The Chinese leader is no amateur when it comes to undertaking bold, headline-grabbing initiatives. He made a strong stand for economic globalisation and open trade at the Davos World Economic Forum in January this year. And the BRI is only part of the story. Significantly, China’s Asian Infrastructure Investment Bank (AIIB) is already working to meet the world’s enormous infrastructure investment needs. Also, as the US withdraws from the Trans-Pacific Partnership (TPP), the pan-Asian trade pact which excluded China, Beijing and countries in the Association of Southeast Asian Nations (ASEAN) are moving ahead with the Regional Comprehensive Economic Partnership (RCEP) to boost trade within the region. In a message that was in stark contrast to the inward-looking announcements being made in Washington, Xi told the BRI meeting that his aim was to build an open, connected and inclusive world. Xi’s blueprint articulates Beijing’s self-confident repositioning in an uncertain era. Not surprisingly, the US and Japan are not pleased. Most Europeans are interested but cautious. But others are willing to join BRI and see how they can best benefit from the plan. China may not always be the gentlest of interlocutors, but many countries are ready for a change. After all, the world needs to get better connected. Global infrastructure needs are enormous. 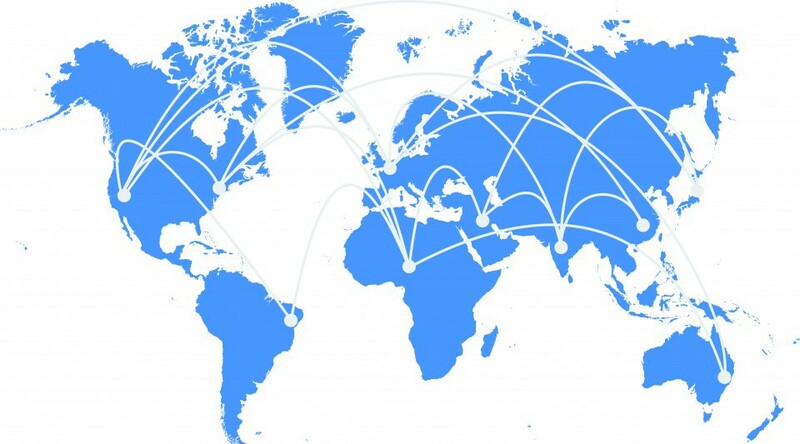 Better connectivity is crucial for trade, to attract investments and to achieve some of the most crucial anti-poverty goals included in the Agenda 2030 Sustainable Development Goals (SDGs). Clearly, BRI is not just about helping others. The search for new engines for domestic Chinese economic growth is an important driver. China wants to boost growth in its western regions, which lag behind the well-developed east coast. Steel and cement are in oversupply and will be used in the BRI projects. There will be job creation for thousands of Chinese workers, as well as foreign nationals. And in a competitive world, this is also about learning by doing. China will have to ensure that BRI becomes more transparent, procurement rules become more rigorous and projects fit in with the SDGs, including environmental standards. Significantly, as the initiative gains traction, China is beginning to conduct itself as a ‘traditional’ development partner, abandoning its ‘non-interference’ policies for a stance that is more concerned about the domestic affairs of its partner states, including on issues like governance and terrorism. Finally, for all the Western concerns that the BRI will allow China to steamroll its partners, in most countries China is not the only show in town. Most states have access to US and European funds, not to mention aid from Japan and Saudi Arabia. It’s not a zero-sum game. Asian, African and other representatives I met in Beijing underlined the importance of the tectonic geopolitical shift taking place. “This a historic and transformative moment. We can see the world is changing,” an African ambassador told me. The way ahead is going to be complicated and difficult. China will need to learn how to deal with complex demands and painful facts on the ground in its myriad partner countries. But if he was worried, President Xi certainly wasn’t showing it. Nobody should expect quick fixes, he cautioned. “We will move forward step by step”. Beijing’s journey to greater global influence has truly begun. US President Donald Trump’s first 100 days in office have been a breathtaking rollercoaster ride for Americans, but also for many in Europe. He may be the least popular new president in the modern polling era (with an approval rating of just 41%) and mainstream American media (excluding Fox News and Breitbart) may talk disparagingly of ‘100 days of gibberish’, but the Trump presidency has been a wake-up call for Europeans, women, complacent liberal democrats, progressives, minorities of all kinds and for ‘citizens of the world’. Trump and Brexit have taught us that we can no longer take values like democracy, human rights and freedom of expression for granted. No more can we believe that racism and bigotry are evils of the past. We cannot be lazy about defending minorities, refugees, the vulnerable and the marginalised. After years of inertia and complacency about the progress we have made in living together, we now know that everything we have struggled to achieve – respect, human dignity, tolerance and building inclusive societies – can be taken away from us at any moment. We have learned about the evil and wickedness in people – the lies they can tell and the insults they can hurl. How ‘alternative facts’ can be more powerful than the truth. We have learned about stupidity and the power of a tweet. It’s been a steep learning curve. At times, the hateful narrative of the populists against the media, women, Jews, Muslims, African Americans and others has been cause for despair. But it’s also been energising, galvanising and reassuring. More than ever before, it’s made many of us appreciate the values, the raisons d’être and the significance of the European Union. In America, we’ve been impressed by the resilience of institutions and traditions of democratic constitutionalism as well as the formidable resistance put up by women, judges, officials and ordinary folk. The media, after having helped create the Trump phenomenon by abdicating their responsibility to question lies, are now back to performing their true function of speaking truth to power and checking facts. It’s been a steep learning curve. At times, a cause for despair. But it’s also been energising, galvanising and reassuring. As highlighted at a panel discussion organised in Brussels by the Committee for the Protection of Journalists last week, and ahead of the World Press Freedom Day on 3 May, the press is more aware than ever of its historical duty to challenge untruths and ‘fake news’. Here in Europe, we’ve also been learning fast. Europeans remain unsure and uncertain about what to make of President Trump and how to deal with him. British Prime Minister Theresa May’s cringe-making kowtowing visit to the White House doesn’t appear to have made much of an impression on Trump. He recently underlined that his priority was to do a trade deal with the EU, ahead of a similar pact with Britain. The US leader’s far-right acolytes in Europe – Geert Wilders in the Netherlands and Marine Le Pen in France – haven’t been as successful as Trump would have hoped. Wilders did not secure the crushing victory that many anticipated in the Dutch elections held in March. And (fingers crossed) Marine Le Pen is likely to lose out to the tolerant and pro-diversity candidate Emmanuel Macron in the second round of French presidential elections on 7 May. The British elections will probably result in a victory for the Conservatives, but Theresa May and her hopes for a “strong and stable government” is being challenged as never before. Across Europe, the conversation on immigration, refugees and Muslims is getting ever more animated. The European Commission is finally getting tough on Hungary. Trump has blown hot and cold on Europe and NATO. After having urged other EU states to follow Britain’s lead by leaving the EU, Trump now believes that Europe is a “good thing”. NATO appears to have salvaged its reputation after having been denounced as an “obsolete” organisation. Even as they hanker for an American partner and ally that they could rely on, European leaders are learning, slowly and hesitatingly, to walk alone. The greatest test of whether Trump’s hold on Europe is truly broken will come on Sunday, with the French presidential vote. If, as many expect, Macron does win, Europe’s message to Trump will be clear: populism and bigotry are not universally popular. Not all Europeans want to turn back the clock. Many have the confidence and the courage to make globalisation work for them. Many believe in an open and progressive Europe. Many want hope. True, Trump is still the most powerful man in the world who can probably count on other ‘strongmen’ like Russia’s Vladimir Putin, Abdel Fatah El-Sisi of Egypt or Turkey’s Recep Tayyip Erdogan. But power in the 21st century isn’t about who shouts the loudest, has the most people in jail, the biggest missiles and the most destructive bombs. It’s about building societies based on hope, openness and inclusion.